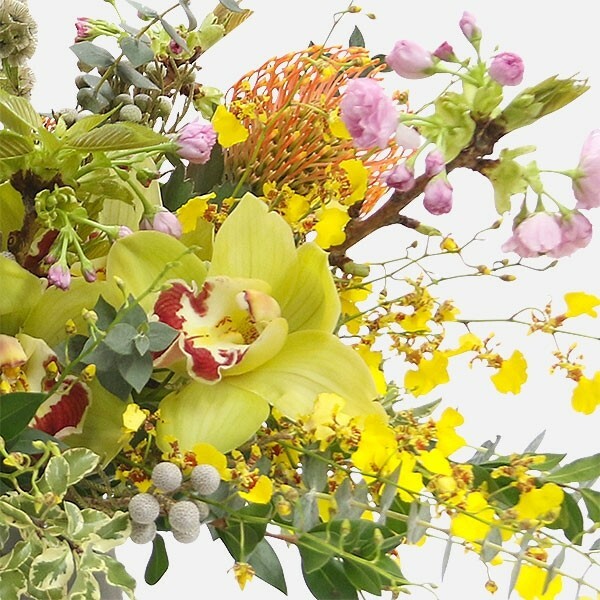 Dare to be on the cutting edge of floral design. 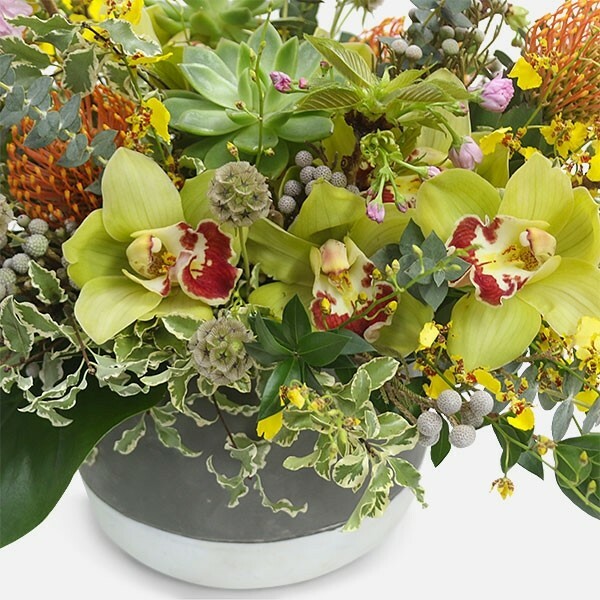 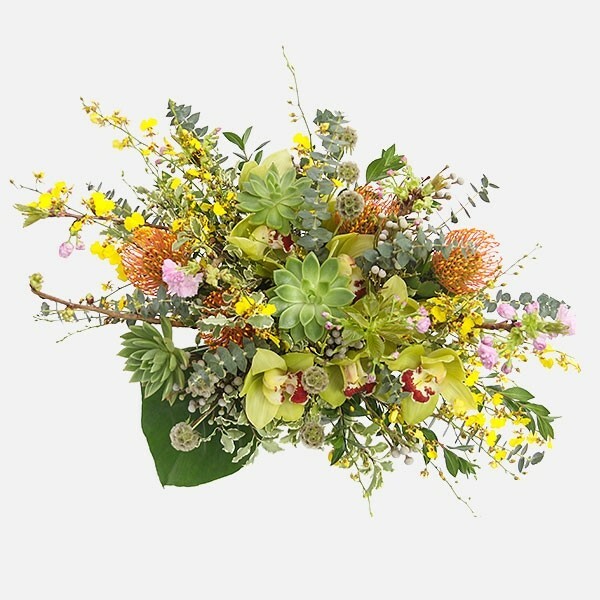 Yellow cymbidium and oncidium orchids, orange protea, succulents and eucalyptus come together in this intricate floral artwork. 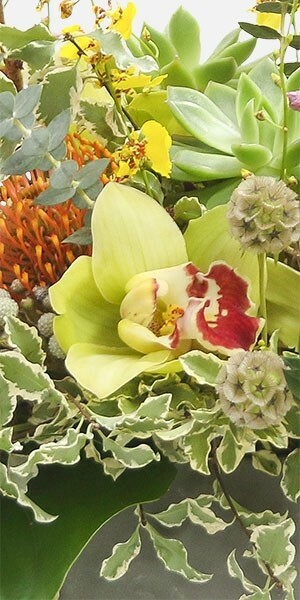 There's always something left to be discovered as new details emerge. 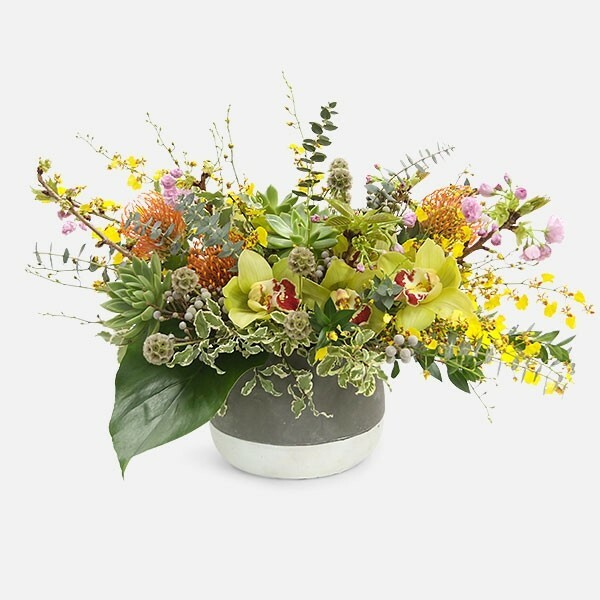 An original floral arrangement, only from Plantshed NYC.